Maxine E. McDonald, 98, of Whiting, Iowa, formerly of Soldier, Iowa, passed away Saturday, January 19, 2019, at Pleasant View Care Center in Whiting, Iowa. Funeral services will be 11:00 A.M. Wednesday, January 23, 2019, at the Castana Community Church in Castana, Iowa, with Pastor Linda Boggs and Pastor Harvey Hanson officiating. Burial will be in Belvidere Cemetery, rural Turin, Iowa. Visitation will be one hour prior to the service on Wednesday at the Church. Arrangements are under the direction of Rush Family Care Service, Onawa, Iowa. Maxine was born May 19, 1920, in rural Moorhead, Iowa, the daughter of Wayne Thomas and Bernice Nancy (Hall) Mann. She grew up in the Moorhead area and graduated from Castana High School in 1938. Maxine and Donald McDonald were united in marriage on June 15, 1941, in Las Vegas, Nevada. To this union two daughters were born, Judy and Karen. She worked at Moon’s store and for Dr. Gingles as a nanny in Onawa while Donald served in the United States Navy during World War II. Maxine and Donald lived in Onawa for approximately one year before moving to a farm near Turin, IA. In 1983, they moved to Soldier, IA. Donald died September 8, 2000, in Soldier. Maxine moved to Onawa in 2004. She was currently residing at Pleasant View Care Center since August of 2014. 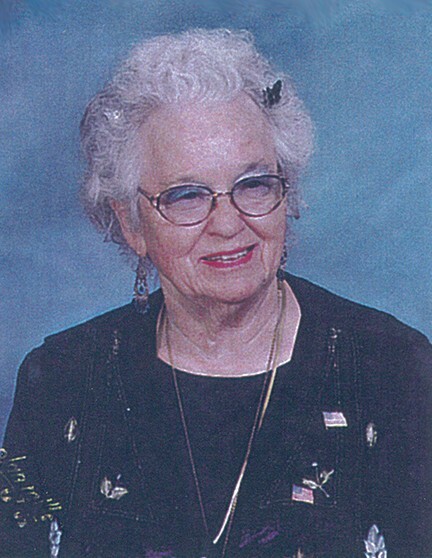 Maxine was a member of the Castana Community Church and the Grimsley-Thayer American Legion Auxiliary of Castana, IA. Maxine loved animals, especially their dog “Luckee Boye”. She was an avid horse lover/horsewoman who loved riding horses. She enjoyed ceramics, gardening, flowers, baking, collecting dolls, collecting jewelry, selling Avon and Watkins products, and spending time with her family at Sunday gatherings and meals. She owned and operated a ceramic shop, grocery store, and café in Turin, Iowa, and a coffee shop and ceramic shop in Soldier, Iowa, where she enjoyed meeting and talking to many people over the years. Maxine was a fun loving lady who took every day as a new adventure, and every stranger became a friend. Survivors include her two daughters, Judy (Roger) Ehlers of Soldier, IA and Karen (Denny) Miller of Aberdeen, SD; grandchildren, Shannon Ehlers of Soldier, IA, Jill (Lee) Kirkpatrick of Onawa, IA, Juli Ermer of Aberdeen, SD, and Tom Miller of Aberdeen, SD; great-grandchildren, Peyton Ermer, Reece Ermer, Elliot Ermer, Luke Ermer, Alyssa Kirkpatrick, Kaylee Kirkpatrick, and Lane Kirkpatrick. She was preceded in death by her parents, Wayne and Bernice (Hall) Mann; and her husband, Donald McDonald.